To boost motivation (much needed for the marathon prep…) and flee from the crappy London weather we were having at the beginning of the summer, we decided to do a weekend in Barcelona. No plans, just sun and chill and doing whatever we felt like. Typically, when we arrived on Friday evening we landed in the middle of a thunder storm. The rain was pouring down as we tried to find a place to eat, in the end we found a Brewdog (strategically located close to the hotel…). Always a safe bet, and the food was actually really good! We finished the evening with a visit to Mikkeller bar (also strategically close to the hotel…). We were both happy to see that the weather had changed for the better when we woke up on Saturday morning. Sun and blue skies as far as the eye could see, just what we wanted. We had decided to spend this day walking around the city, and we started by having breakfast at Cosmo, a combined art gallery and cafe in the Eixample area where we stayed. We then strolled through the narrow alley ways of El Raval, enjoying the old buildings and street art. 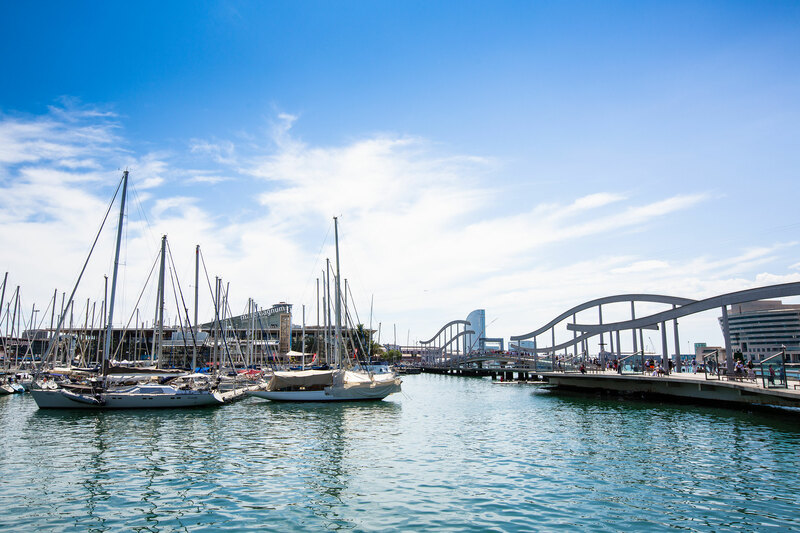 Eventually we reached the more touristy areas around the Rambla and the harbour, which we walked along until we reached the Barceloneta beach. After enjoying a well deserved glass of beer/wine by the beach, we went looking for a restaurant for lunch. By chance we stumbled over a really good seafood restaurant, Segons Mercat, which was just what we craved. Happy from a wonderful lunch we continued our hike across the city. We made our way through the Gothic quarter and then kept going north. A nice surprise (at least for me) was that the craft beer scene has exploded in Barcelona, and we found a lot of cool places to make pit stops along the way. Eventually we reached Park Güell, just as the sun was setting. That night we had dinner at Mexican restaurant, MEXCLA, where we both had some delicious tacos and yummy margaritas. On the way back to the hotel we stopped for a night cap at a classic Cava bar, a perfect ending to a perfect day! We had decided that the following two days should be beach days. As the beach in Barcelona isn’t very nice and also too crowded, we took the train to Sitges, located around 45 min west of Barcelona. It is a beautiful, old seaside resort and we had a nice, relaxing day there before returning to the city for a late tapas dinner. On Monday, our last day, we once again decided to take the train outside the city. This time to Castelldefels, a beach town just 20 mins from Barcelona. It has a beautiful, absolutely massive beach which meant that it wasn’t very crowded. We had another nice day at the beach, and I even managed to do a short run with a well deserved swim afterwards.